Health & Lifestyle Coaching with Suzanne! Mantras in the yogic tradition are important healing tools that use sound to improve a particular quality or area of life. The translation from Sanskrit is that the syllable man means intelligence, thinking or feeling and the syllable tram means helping and protecting power. Mantra is sometimes translated as the tools of the mind. This beautiful mantra is used for opening the heart and developing compassion. Try it! It’s really pretty. Maybe you’d like to set an intention as you practice your meditation and repeat your mantra. My mom is at a weekend yoga workshop with yoga teacher, Erich Schiffmann, so I agreed to fill in as a guest blogger. Confession: I hoard food and hide it in my Mom’s bed. I like to put my treats under the covers and Twizzlers (which I don’t eat, but like to play with), poached eggs, cheese and other goodies. The reason why I hide food is so that my cat, Simone won’t eat it. She eats everything. I don’t let her get on Mom’s bed because that’s just for me and Mom. Mom says that most people hoard something. (Dogs are people too!) 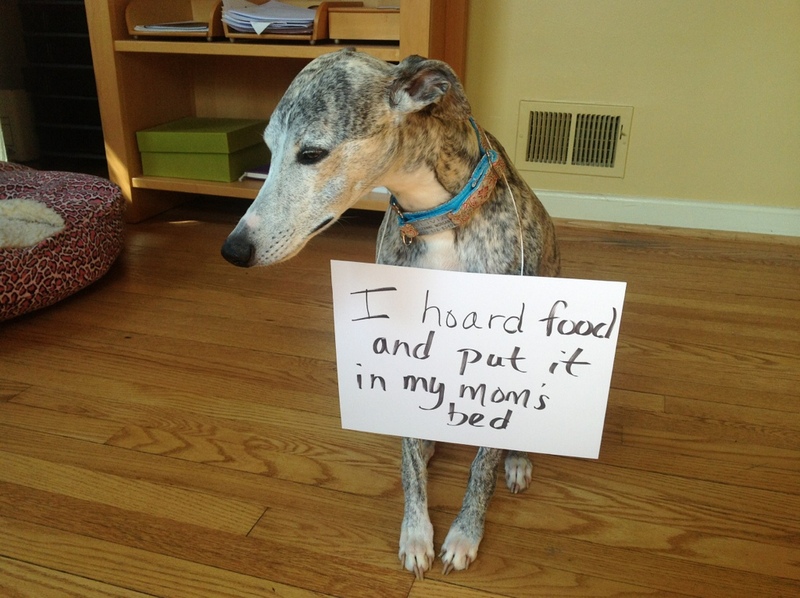 She says that hoarding comes from a deep-seated belief in the lack of abundance. The fear of not having enough makes us hold on tightly to things. Mom says that we can discover a lot about ourselves by being aware of feelings of not having enough and not being good enough. I have all the money that I need. I have all the time that I need. I have all the love that I need.